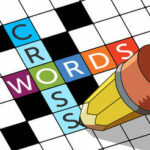 In this post you will find Crosswords with Friends February 14 2019 Answers. And if you are really good at solving crosswords than this game has thought about you too. You can challenge your friends and see the leaderboard to see who solved the daily puzzle the fastest. By playing this game,”Crosswords With Friends” you will definitely put your brain in exercise and challenge yourself, it also improves your knowledge and the most fun part is that you can compete with friends.Do not limit yourself, try to master your skills by playing each day and then go further by challenging your friends. Do not forget to sit back and enjoy your accomplishments time after time. “Born This Way” singer whose backstage requests have included “Starfish tuna” and “non-smelly non-sweaty” cheese: 2 wds.